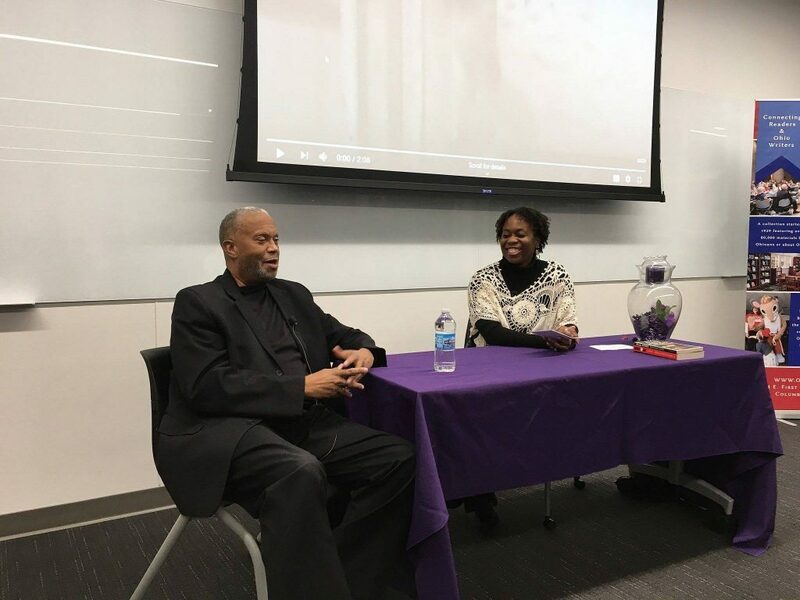 A near capacity crowd was on hand February 20 as Ohioana presented, “From Prison to Prominence: The Life and Literary Work of Chester Himes” at the Martin Luther King, Jr. branch of Columbus Metropolitan Library. Author Yolonda Tonette Sanders, the creator of the “Protective Detective” mystery series, conceived the program, in which she “interviewed” Chester Himes, portrayed by Columbus actor Tony Roseboro. Questions from the audience, clips from the 1970 film version of Himes’ novel “Cotton Comes to Harlem,” and Ohioana Director David Weaver turning the tables on Sanders and interviewing her rounded out the evening. The trailblazing Himes went from being an inmate at the Ohio Penitentiary to an influential writer and creator of the black detective genre. Himes is one of those authors who, after being largely forgotten over the years, is gaining new recognition and respect for his work. The program was presented by Ohioana not only for Black History Month, but as part of the I, Too, Sing America: The Harlem Renaissance at 100 celebration.